• Ask yourself if it’s safe to stay at home or the affected area. • Electrical exposures might slip or fall, check out for those that represent a risk to you or others nearby. • Make sure to move consciously around the affected area. • Some material can be slippery and heavy, stay away from them. • Get rid of excess water by mopping and blotting. • Certain furniture need first action such as: wood furniture followed by Lamps, and tabletop items. Those are more sensitive to get damage by excess of water. • Move out we upholstery and cushions. • Put aluminum foil or wood blocks between furniture legs and wet carpeting. • We recommend turning on air conditioning for maximum drying. • Take away colored rugs from wet carpeting. • Put away art objects and put them into a safe and a dry place. • Pick up loose items from floors. • Don't leave wet materials in place. Hang furs and leather goods. • Do not leave books, magazines or other tinted items on wet carpet or floors. • Don't use your household vacuum to remove water. • Don't use television or other domestic appliances. • Don't turn on ceiling equipment if ceiling is wet, and keep out of rooms where ceilings are sagging. We are 24 Hour Emergency Service: Flooding and water emergencies don’t wait for regular business hours and neither do we. 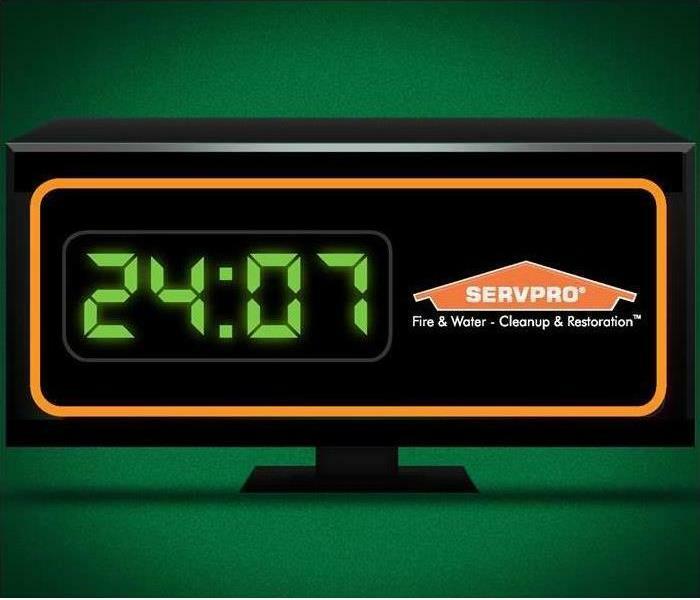 SERVPRO provides emergency cleaning and restoration services 24 hours a day, 7 days a week—including all holidays. You can expect an immediate response time, day or night. We are faster to Any Size Emergency: Water is particularly invasive, quickly spreading throughout your property and being absorbed into floors, walls, furniture, etc. SERVPRO of Martin County arrives quickly and starts the water extraction process almost immediately. We have a Moisture Detection and Measurement Equipment: Scientific drying principles rely upon specialized equipment to detect, measure and monitor a property’s moisture levels. Recent advances, like infrared cameras, can help us detect water through a wall, ceiling, or floor. We count with Sanitizing Agents, Germicides, and Anti-Microbial Treatments: The use of OSHA-approved cleaning agents may be needed to clean and remove odors and/or contaminants on your property. Deodorization products control odors from excessive moisture. Disinfection products stop the growth of bacteria, fungi, mildew, and other harmful microorganisms. After the fire trucks are gone, your home and belongings likely suffer from not only fire and smoke damage, but also extensive water damage from firefighting efforts. 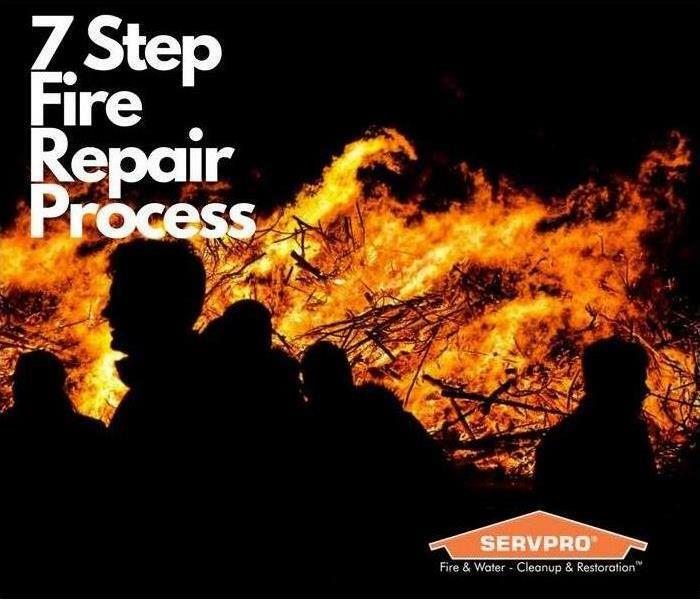 SERVPRO has the specialized fire and water damage cleanup and restoration training and experience to quickly restore your home to pre-fire condition. We also have specific training and equipment for odor removal and deep cleaning of upholstery and carpet. 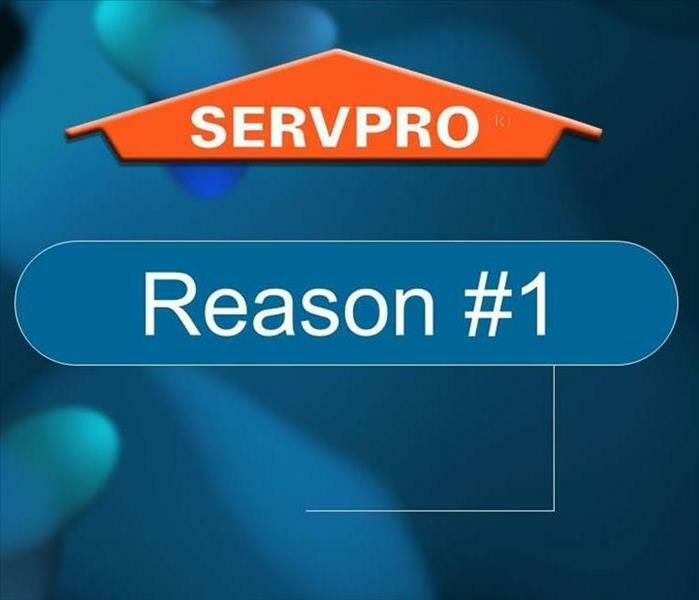 SERVPRO of Martin County is dedicated to restoring your property to “Like it never even happened.” SERVPRO provides emergency cleaning and restoration services 24 hours a day, 7 days a week! When various materials burn, the soot and residue they create differs greatly and requires a specific cleaning procedure. 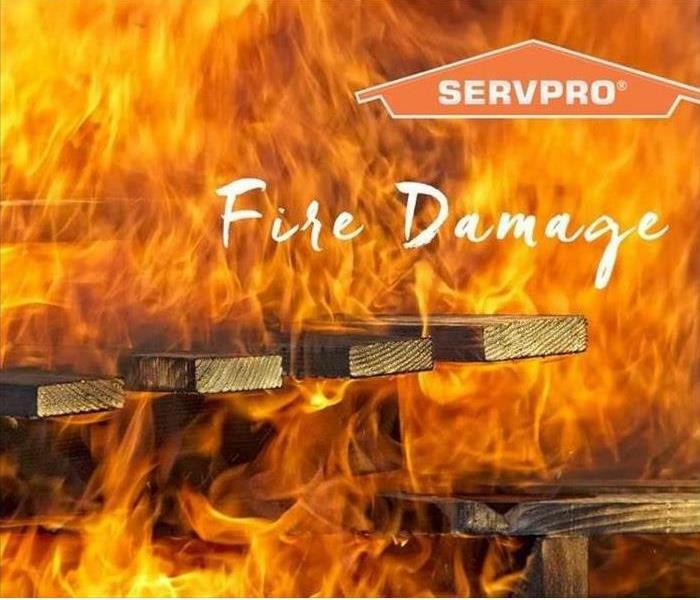 At SERVPRO of Martin County, we have Inspection and Fire Damage Assessment, Specialized in fire restoration training needed to restore your home to pre-fire condition. What to Do After a Fire Damage? Fire Damage Restoration is a very sensitive job that is best left to professionals. After an accident happens it’s very important to have a Fire and Smoke Damage Restoration plan to be able to overcome any issues. When smoked and fire arises the most complicated and matters is the by-products of such scenes that are usually classified as bio -hazardous materials, and they require special handling that ordinary people are usually not knowledgeable in. But what to do and not to do after a Fire? Every fire damage event is a little different, and requires a unique solution. At SERVPRO of Martin County we clean and restore your property using specialized equipment and cleaning techniques. Our “restore first” mentality reduces interruption and gets you back to your life. 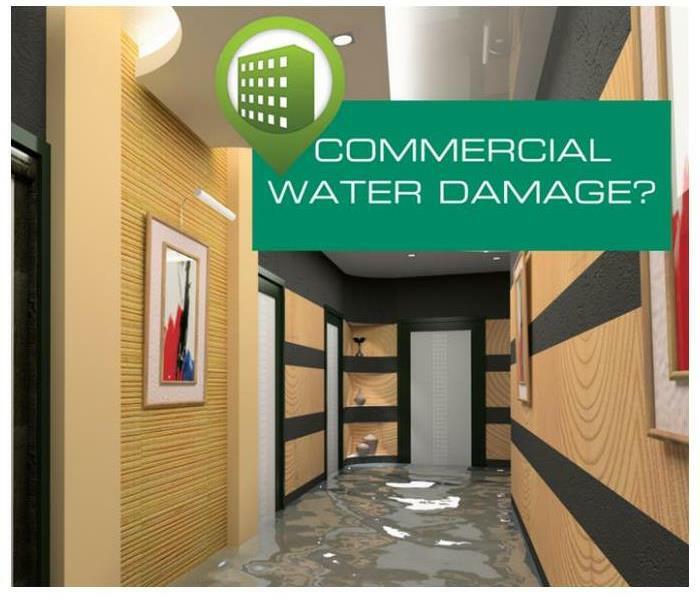 SERVPRO of Martin County can respond immediately to your commercial water damage emergency regardless of the size or scope of the damage. We are part of a national network of over 1,600 Franchises with special Disaster Recovery Teams placed strategically throughout the country to respond to large scale events and disasters. We are proud to serve our local communities of: Stuart, Palm city, Jupiter Island, Indiantown, Jensen Beach, Hobe Sound, Hutchinson Island, and Port Salerno. SERVPRO has the training, experience, and equipment to handle large commercial flooding or water damage emergencies. Whether your water emergency occurs in a small office building or big box store, we will respond quickly to mitigate the damage and manage the restoration project through to its completion. After the fire trucks leave, your home likely suffers from fire and smoke damage and extensive water damage from firefighting efforts. 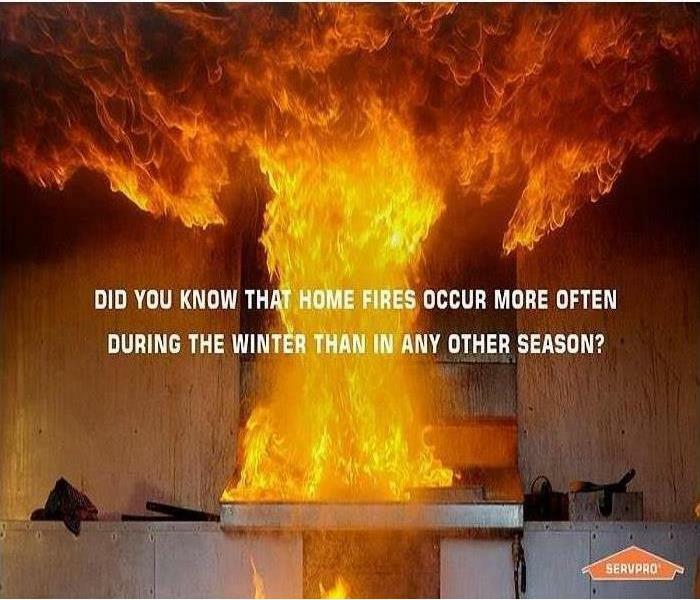 SERVPRO of Martin County have the specialized fire restoration training needed to restore your home to pre-fire condition. SERVPRO of Martin County specializes in Fire Damage Restoration Services. We have the specific damage restoration training, personnel, and equipment and can quickly restore your home to pre-fire condition. Almost 70% of property damage involves water – through flooding, broken pipes, sewer backups or after a fire. Water can cause extensive damage and pose a serious threat to building structures, interior furnishings, important documents and prized belongings. Every water damage event is a little different and requires a unique solution, but the general process stays the same. Have a look at the steps below to learn more about that process. When your home has water damage from flooding or leaks, you need the company that can respond immediately and has the expertise and equipment to properly restore your property. The Institute of Inspection Cleaning and Restoration Certification (IICRC) sets practical standards for restoration and cleaning. The IICRC S500 Water Damage Guide is a specific set of practical standards that incorporate the field of psychometric, which involves the manipulation of temperature and relative humidity to remove moisture and dry a property quickly and effectively. Why more people choose us? The past few decades has seen a rapid advancement in the technology and techniques used in the restoration industry. These advancements allow SERVPRO Professionals to restore a property back to preloss condition quickly, reliably, and more effectively. We are close by and ready to respond immediately when you need cleaning or restoration services. We’re also part of a national network of over 1,700 Franchises, which allows us to respond quicker with more resources. For major storms and disasters, we can even call upon special Disaster Recovery Teams for additional resources. We are proud to serve our local communities of: Stuart, Palm City, Jupiter Island, Indiantown, Jensen Beach, Hobe Sound, Hutchinson Island and Port Salerno. Another danger is that mold can begin growing within 24–48 hours. Mold growth and related bacteria and allergens can result in serious long-term, health issues. When your home has water damage from flooding or leaks, you need the company that can respond immediately and has the expertise and equipment to properly restore your property. 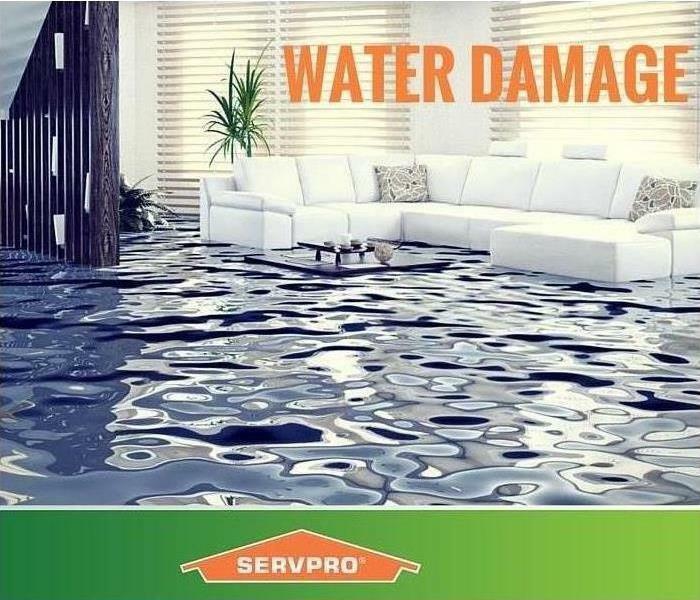 SERVPRO uses advanced water damage inspection and extraction equipment to help them find the moisture and to remove it as quickly as possible. Our highly trained technicians will monitor and document the drying process so that you know your property is back to normal. As a locally owned and operated business, SERVPRO is close by and ready to respond to your flood or water damage emergency. We are proud to be an active member of your community and want to do our part to make our community the best it can be. Every water disaster is different, from the amount of water to the level of contamination of the water. Each scenario requires a unique solution, but the general process stays the same. 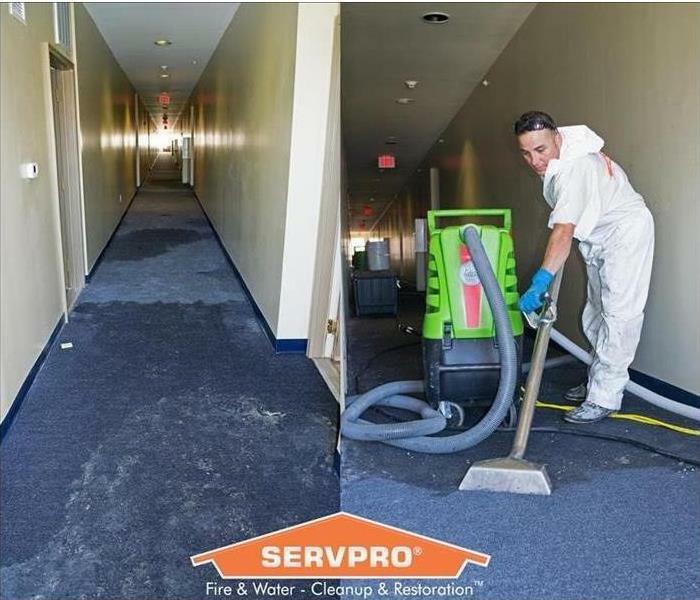 You know SERVPRO of Martin County as a leader in Water Damage, but our expertise can also make a dirty carpet "Like it never even happened." Is your business ready to deal with heavy storms? According to the latest industry research, as many as 50% of businesses may never recover following a disaster. Of the businesses that survive, the overwhelming majority of them had a preparedness plan in place. Pre-planning can serve as an insurance policy aimed at peace of mind. When a major storm hits, it may overwhelm local restoration companies. SERVPRO can scale our resources by accessing the equipment and personnel of 1,700 Franchises. We can also access Disaster Recovery Teams that specialize in major storms and catastrophic events. Do you have a Disaster Recovery plan ready for your business? A good way of minimize interruption is by having an immediate plan of action. Knowing what to do and what to expect in advance is the key to timely mitigation and can help minimize how water and storm damage can affect your business. 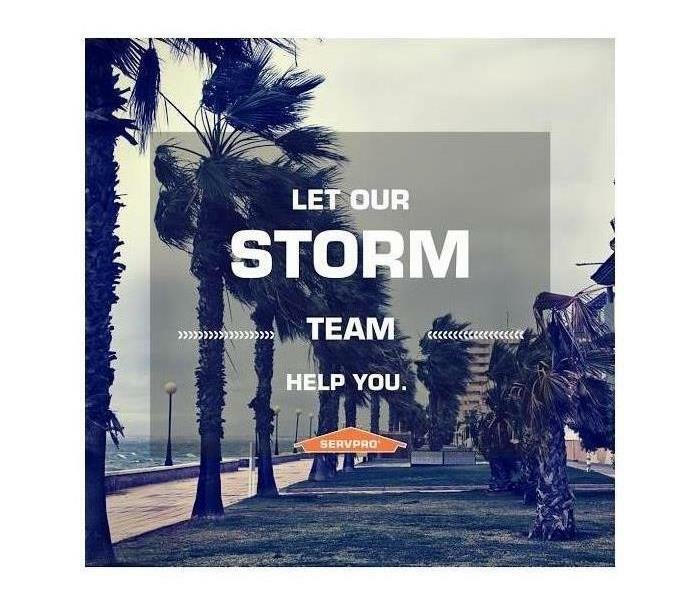 The SERVPRO Disaster Recovery Team can provide help whether you're dealing with a heavy storm, tornado, hurricane, blizzard or flood. The SERVPRO System has a network of strategically positioned storm teams on standby should a disaster strike near you. Available 24 hours a day and 365 days a year, we are prepared for the unpredictable. 1/2/2019 - What to Do After a Fire Damage? 11/30/2018 - Is your business ready to deal with heavy storms?